I count the Reading Challenge I did a few weeks ago as a good start in my year of reading. I have 4 books on here this time. Last year, I started the year off strong & stayed ahead of my Goodreads challenge all the way up until the end of October. Let's try & not repeat that. Quick Summary: 3 special & magical beings help a girl & her brother find their father who is in prison in another part of the universe. I can't believe I never read this one in school as required reading. But I hadn't - & with the movie coming out, I wanted to read it first. & yes, I kept seeing Oprah in my head when they were talking to the Mrs. I did really appreciate the references & mentioning of God many times in the book as well. The one thing I didnt care for was the ending. It was so rushed. I want to know more. It was like the whole book was summed up & closed on 2 pages. I needed more. Maybe that's what the other books in the series is for. Who knows. "Like and equal are not the same thing at all"
Quick Summary: A perfect couple from the outside, but is it all that it appears when they go home? This book totally disturbed me - so I guess that's the mark of a good book. It made me angry, it made me frustrated, it made me sad, it made me fist pump with excitement, & it so ticked off. I could just put myself in Grace's position & I could think of 100 ways I'd handle the situation.... all of them totally different from Grace. Of course. I really enjoyed the pace of this book going back & forth from the past to the present, tying the full story together... & I especially got excited as the end came closer & seeing how Jack & Grace would end up. Side note - I feel like everyone needs a code for HELP now. & I'm going to be the Esther in every day life now. & I totally 100% adored Millie. What a cool sister! Quick Summary: Andy keeps a diary for a year in his life. I love me some Andy Cohen. & loved that he wrote a diary & was going to share it. & let me say, I'm not an audiobook fan. They usually bore me - but I dont mind them when its a biogrpahy & the writer is also the narrator of the audiobook... so I was stoked going into this one. & some of the stories made me laugh & made me just love Andy more... even some heart felt stories. But MANNNNNN - this was the LONGEST audio book. I cant even remember when I started listening to this. I think each chapter was over an hour long & there's 30 chapters. I just struggled to get through it. I have his next one also on audiobook but I may need a rest... whew.... I'm a little exhausted. 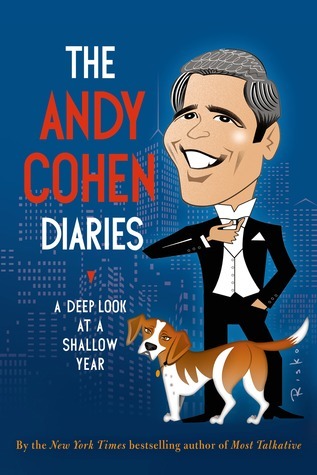 Still love my Andy Cohen though! Quick Summary: When best friends all have things going on in their lives, the talk around the island is quick to share rumors of it all. Are some of them true? I am understand the tone of the Hilderbrand books now - the settings are virtually the same & each book is going to have a minimum of 6 main characters. Maybe I'm getting used to it because I didnt need a pie chart on this one. I really enjoyed this one - how a situation looks & how it can be perceived by others & the people who love gossip & rumors... & how fast they get around. I really did enjoy this book though.... & really loved when a name from a previous Hilderbrand book popped up tying a character in this book to another story from the other book. Full circle moment. "Every life contains a Novel." 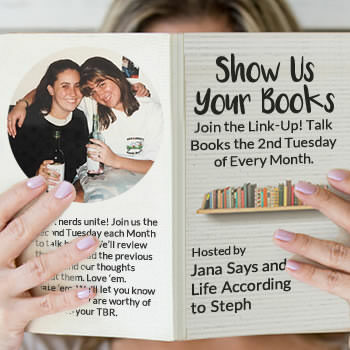 So what good books have you read this month? I've never read A Wrinkle In Time. I need to get on that. Behind Closed Doors was soooo messed up. I remember I was mesmerized by A Wrinkle in Time, I do want to see the movie and Behind Close Doors..whoa...so good but so crazy!! I remember not liking a Wrinkle in Time when I read it when I was younger, but I've been more tempted to reread it and see if my feelings have changed at all. I usually don't care for audiobooks either, but have had good luck on memoir type books when read by the authors too! 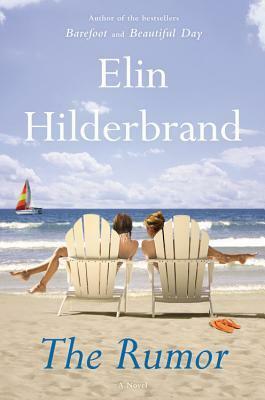 Can you believe I still haven't read an Elin Hilderbrand book? I need to get around to that. 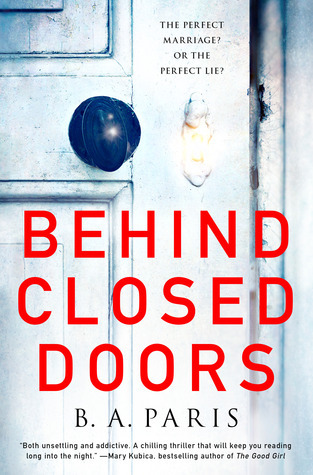 OMG I LOVED Behind Closed Doors!!! I thought of a million different ways I would have handled the situation as well. But I suppose you can think up of things all you want, but you really don't know what you would do unless you were in it. Such a great book. And so very disturbing! Audiobooks are how I enjoy my commute to work. Though it is 100% about who narrates it as to whether or not it is enjoyable. How was I not already following you on Goodreads?? Yay to a great reading month! I am so in awe of how many books you read. I would love to read more! I did read a book a friend is coming out with called "when God says go" and it's SO good! Thanks for sharing! I really love A Wrinkle in Time. I actually read it in grad school; I never had before! I imagine that the rest of the series probably answers your questions, but I've only read the one. I'm excited for the movie too. I'm with you on audio books, I like them best when the author is also the narrator. I read A Wrinkle in Time last year? year before? and also couldn't believe I hadn't read it before then. 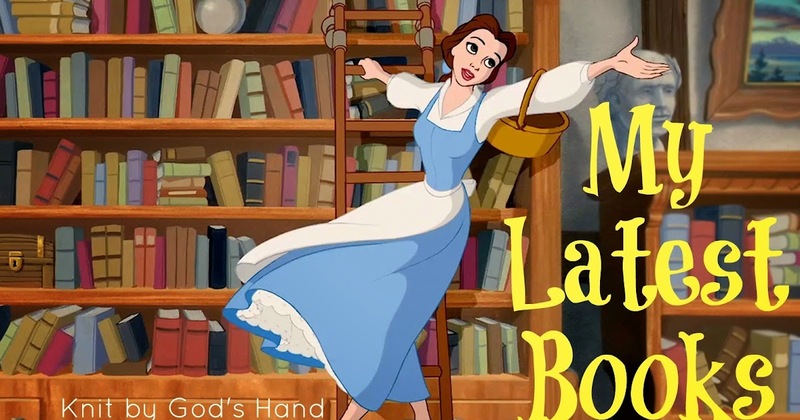 I'm curious about the movie adaptation - not sure I'll see it but if it brings another generation back to the book, that's a good thing! I tried reading the next books in the series - I made it through A Wind in the Door but A Swiftly Tilting Planet lost me. i haven't read A Wrinkle in Time but i do want to before the movie comes out. I read a Wrinkle In Time years ago, but remember nothing from it! I need to read it again. I looove A Wrinkle in Time and cannot wait to see the movie. The Rumor is on my list too! Behind Closed Doors was so messed up!! I've got "A Wrinkle in Time" on hold at my library. Looks like it will probably be summer before I get it. I may end up buying it when I finish The Mitford Series by Jan Karon. I am definitely going to see A Wrinkle in Time. I just haven't decided whether I'll read the book first, probably not since the movie is out next month. It weird and somewhat a little scary that so many older books once again seem so relevant. Like aren't we supposed to be better? I really liked "The Rumor," too!! I love how you read the Wrinkle in Time book before the movie came out; that's always the best way to do it! Minus the Andy Cohen one, these are all on my TBR! I'll probably be moving A Wrinkle in Time up though since the movie comes out so soon. I never read it in school and didn't realize it was part of a series either. I did like the B.A. Paris book. I know I read A Wrinkle in Time but I don't remember it. I feel like that's weird. I did just buy it for my daughter so maybe I'll pick it up when she's done. I liked Behind Closed Doors. 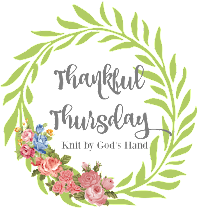 I'm reading The Breakdown now and got her newest from NetGalley. If you like A Wrinkle in Time, try When You Reach Me. There's elements of A Wrinkle in Time literally in the book because it's a plot point. I'm reading it to my class right now and NOW they want to hear A Wrinkle in Time next, so I might have to give in to that request. The Breakdown by B.A. Paris was even been (to me) than Behind Closed Doors. That's exactly how I felt about Wrinkle in Time---like it was really going somewhere and then the ending was totally rushed! I haven't read any of the subsequent books, though, so I don't know if more gets resolved there. 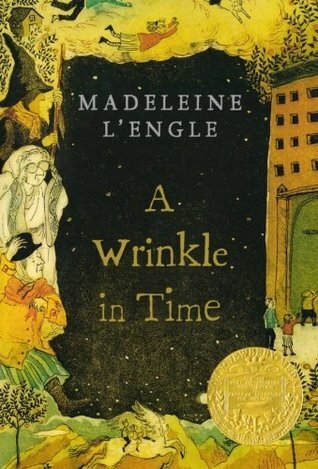 I have never read A Wrinkle in Time, but I did read all 4 of Madeleine L'Engle's Crosswick's Journals. I downloaded to my Kindle a series of six books that were all free. I love free!! They are kind of silly and predictable but I am enjoying them (on the third book in the series). The Senior Sleuths Mysteries, by M. Glenda Rosen. Two private detectives are 70 and 82 years old and they are a RIOT. Good for giggles and they are keeping me entertained. Certainly not movie material or book club selections, but still fun. I always enjoy your reviews! I've had The Rumor on my shelf for a while but I haven't opened it yet. Glad to see you enjoyed it! I'm also glad you enjoyed A Wrinkle in Time more than I did, lol. I listened to it on audiobooks and I wonder if that's what made it bad for me.